While inside the classroom this week upper school students have taken the Aspire and PSAT exams, lower school students have discussed the turtle hatchlings they witnessed on Sandy Point, and middle school students have continued rich Spider Web Discussions in their advisories, outside the main office has been abuzz – literally – with chainsaws, excavators, and cement trucks. Thank you for your patience and flexibility as we continue renovating the main entryway and stairs to make them safer for pedestrians, water and mud-free, and more attractive. We appreciate you driving extra slowly as you navigate the obstacles during drop-off and pick-up. I also want to welcome back Dominic Pugliese, (12th grade) and Natalia Kuipers, (11th grade) two athletes who recently competed in the 3rd Youth Olympic Games in Buenos Aires. It is awesome to see GHCDS athletes performing at such a high level and having the opportunity to interact with other athletes from around the world including, North Korea. 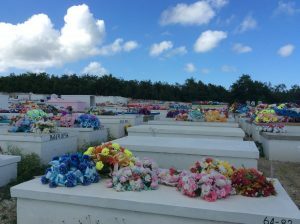 I encourage you to ask them about their memorable experience. I will provide a separate update on the Middle States Re-Accreditation process next week. 9th-12th grade Parent Teacher Conference Day November 1st, 2018. Congratulations to the two GHCDS athletes who represented the Virgin Islands at the 3rd Youth Olympic Games in Buenos Aires, Argentina on October 1st – 19th. 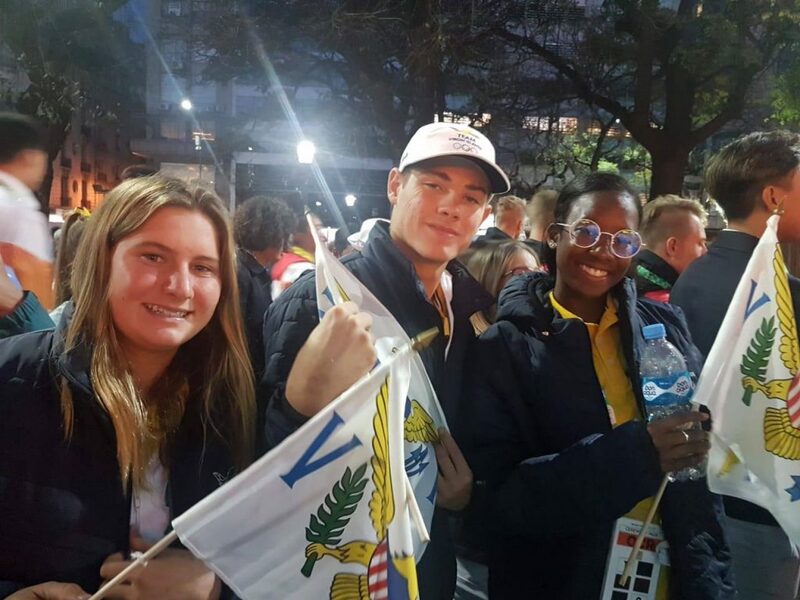 Triathlete Dominic Pugliese (GHCDS Senior), and Swimmer Natalia Kuipers (GHCDS Junior) took part in this prestigious event while representing the Virgin Islands at the highest level of their sport for young athletes. Natalia Kuipers competed in the 200 meter and 400 meter freestyle events on Wednesday, October 10 and Friday, October 12. Her time in the 200 meter freestyle was 9:41 and her time for the 400 meter freestyle was 9:52. Dominic Pugliese competed in the Individual Sprint Distance Race (1/2 mile swim, 13 mile bike, and 3 mile run) on Monday, October 8 and an International Mixed Team Race on Thursday, October 11. In his sprint distance race Dominic competed against 31 other countries including athletes from Italy, Germany, Australia, Canada and the USA. 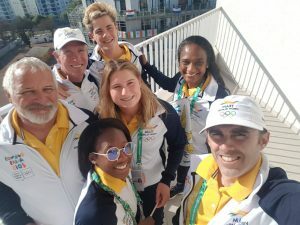 His team for the mixed relay race included athletes from the USA, Aruba and Peru which collectively earned a solid 11th place out of 16 mixed teams. 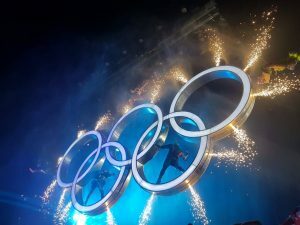 “One of the most noteworthy aspects of the third summer edition of the Youth Olympic Games was the positive response of the spectators to all sports throughout the competition. A total of 1,001,496 people visited the venues to see the biggest multi-sport celebration in Argentina’s history. Another distinctive element of Buenos Aires 2018 was its concept of Olympic Parks, four main venue clusters located in different parts of Argentina’s capital: the Youth Olympic Park in the south of the city, Technopolis Park in the north, Urban Park by the Puerto Madero waterfront and Green Park in the green Palermo woods. Both Dominic and Natalia train year round in their sport and truly earned their selection by the Virgin Islands Olympic Committee, to the Youth Olympic Team. We are very proud of all they have accomplished. To experience more about the prestigious event click on the link below. 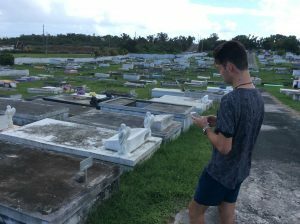 Environmental Science students Ethan Stamper and Wiley Crowther conduct a Human Population Demography study that spans over 100 years. 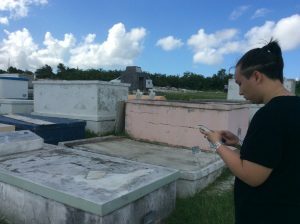 Students spent four classes collecting data at the King’s Hill Cemetery. 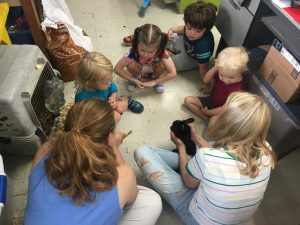 Mrs. Richards took the nursery students up the Middle School Science room to visit the bunnies and guinea pigs as part of a five senses activity. Eighth grader Alex Tonin was on hand to help out! 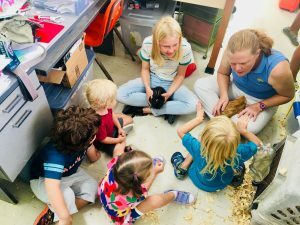 Throughout the day, the bunnies sat on the laps of middle school students, then they visited Ms. Coles’ 4H after School Activity on Monday. 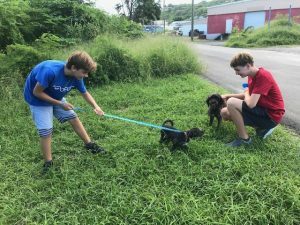 Aidan Fitzgerald and Evan Dykstra volunteer at the Animal Shelter walking dogs with Ms. Blanchette. 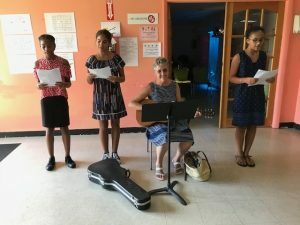 Maya Hopkins, Jasmin Nieves, Izzy Rodriguez and Ms. Blanchette sing a few songs at the Herbert Grigg Home, Wednesday at lunch. 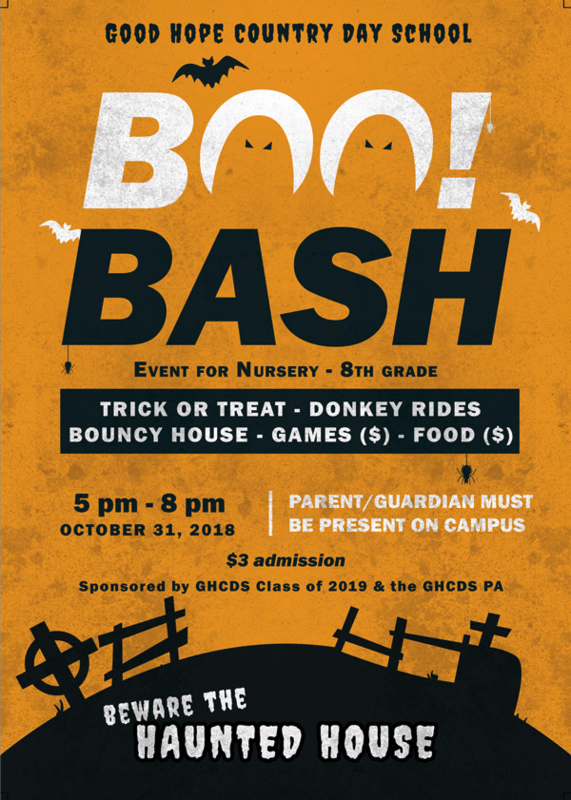 We are in need of volunteers for the Boo Bash! Please use the following link to sign up and help out! Get Ready Students and Parents! The Panther PowerUP! is coming soon! This year’s main fundraiser is the Panther PowerUP! In a nutshell, it’s a two-week program that kicks off with a Pep Rally at Friday Gathering on November 2nd. Pledging opens today so log on to funrun.com and check it out! 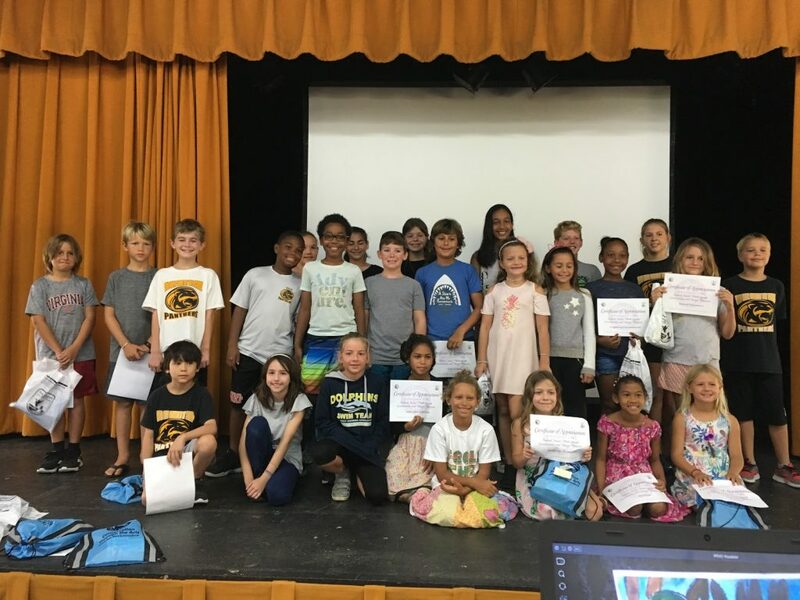 Family and friends anywhere in the world can support our school by giving pledges toward the number of laps Nursery-8th grade students will run at the PowerUP! Run on the morning of Tuesday, November 13th. 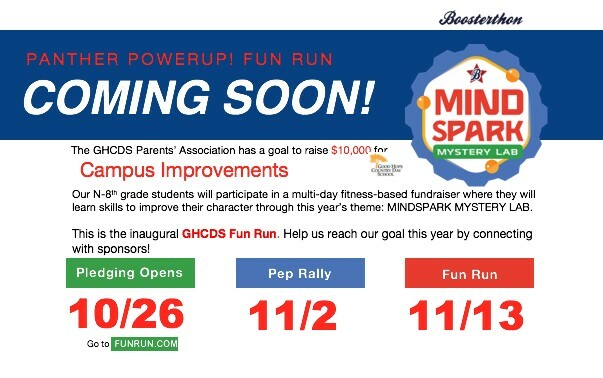 With our big goal of raising $10,000, we asked the Fun Run experts at Boosterthon to power our event and make it easier, more profitable, and more fun. Our fields and gym have been packed with activity! With GHCDS hosting volleyball and flag football on Tuesdays and Thursdays (and a few other days for makeup games), there’s a lot to play and/or watch! UVI is the place to be this coming Wednesday, as our Cross Country Panthers will compete in SCIAA Champs! We have Varsity Volleyball teams playing at Complex on Monday and Wednesday, so it’s actually possible to see Cross Country and great volleyball on Wednesday, right across the street from each other. After that, BOO BASH! With so many competitions happening at once, and our school sharing facilities with SCIAA, practice times are hard to come by for Flag Football and Volleyball particularly. This week we managed to squeeze in practices for everyone, but please note the days may not be typical. If your athlete has a practice on a competition day for another sport, please know he or she is excused from practice, but ask your athlete to communicate those details to his or her coach. *This Weekend-Reminder of Saturday, Sept 27th volleyball matches at Complex- JVG vs. SCEC 2:30, VGA vs. Central @ 3:30, VBB vs. Central @3:30, VGB vs. FW @ 5:00. Athletes should arrive 30 minutes before matches. ● Flag Football Games: Mouthguards! Water jugs! ● Optional Cross Country before School Run-6:00 a.m.-7:00 a.m.
● Cross Country VI Champs!